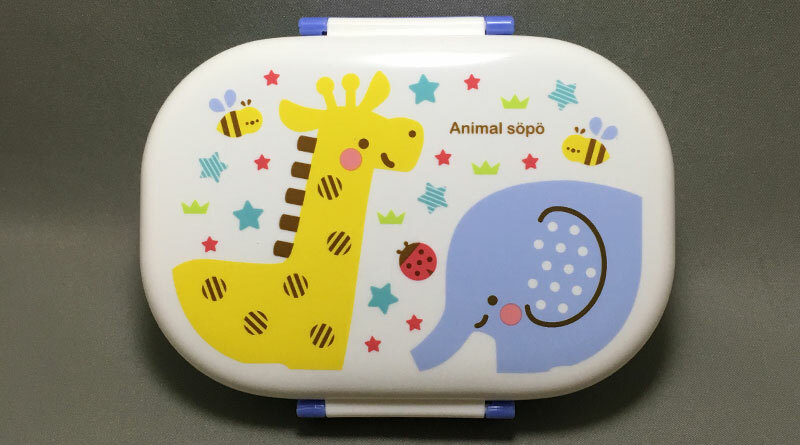 The bento box lid is decorated with cute animal illustrations. 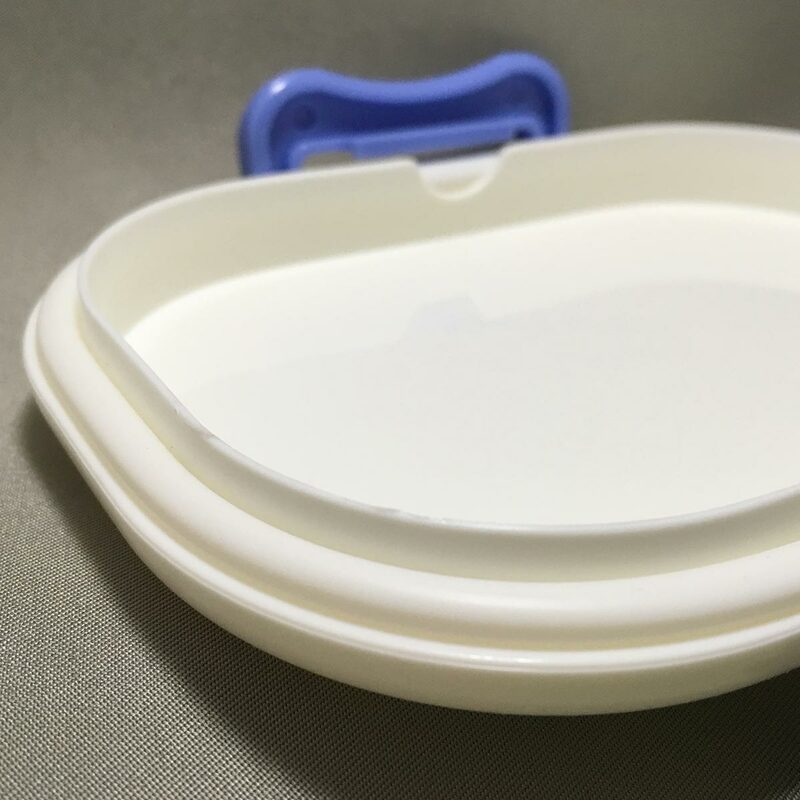 The lid has a sealing snap on lid secured on both sides of the lid to prevent spillages. 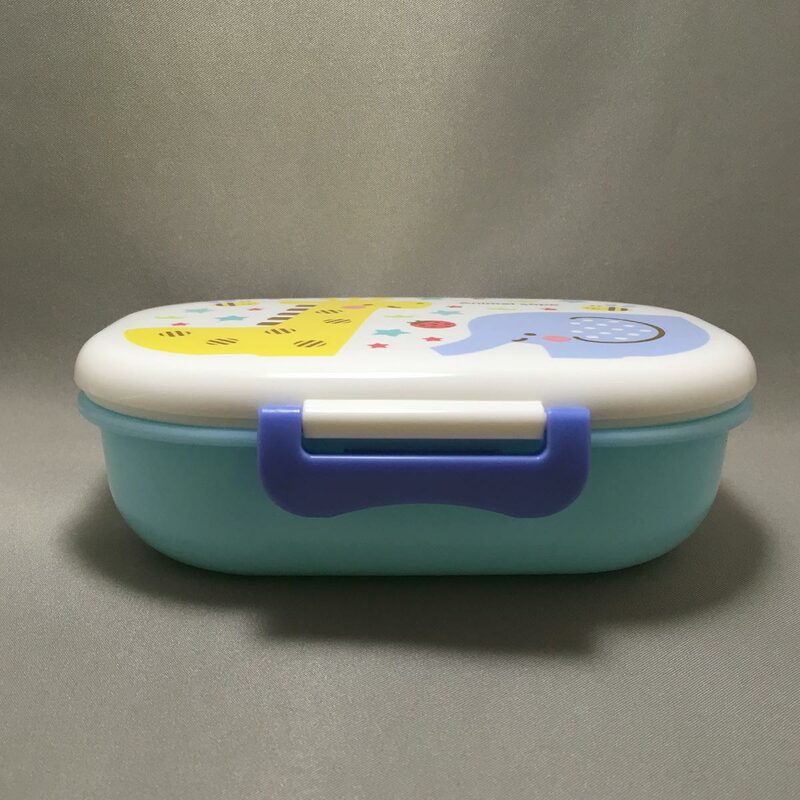 – The bento box may have plastic resin smell. 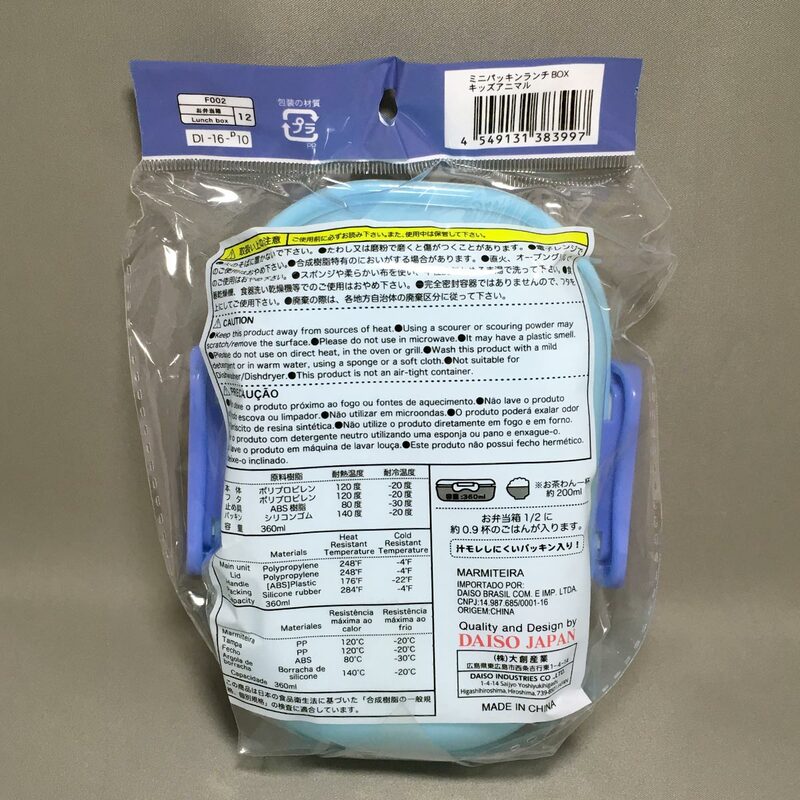 – Do not use on or under a flame or other direct heat source, including on a grill or in an oven. 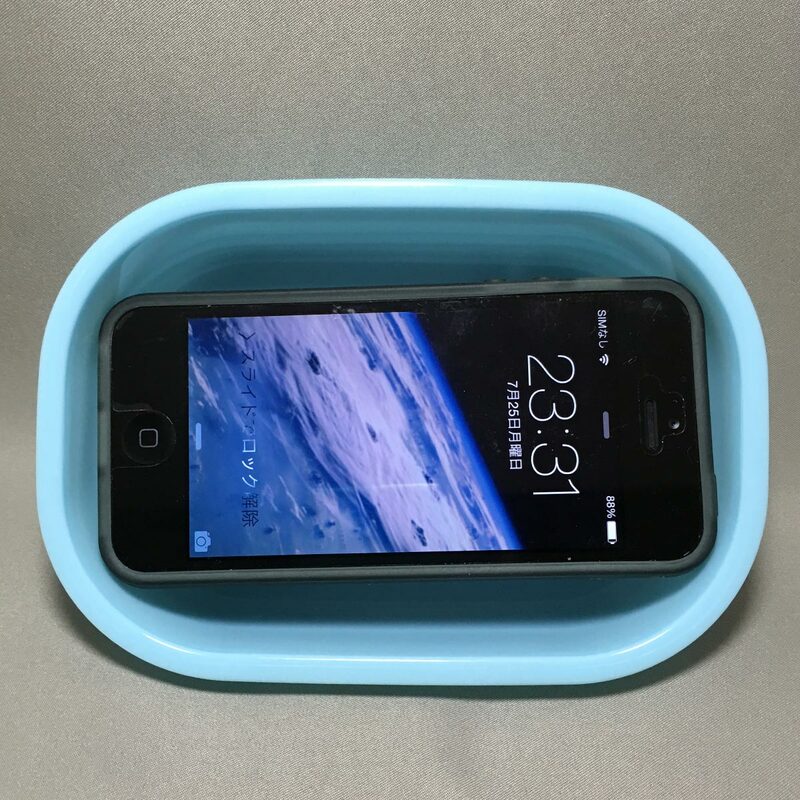 – To clean, use a sponge or soft cloth with dish washing detergent. – Do not use in dishwasher or dish dryer. 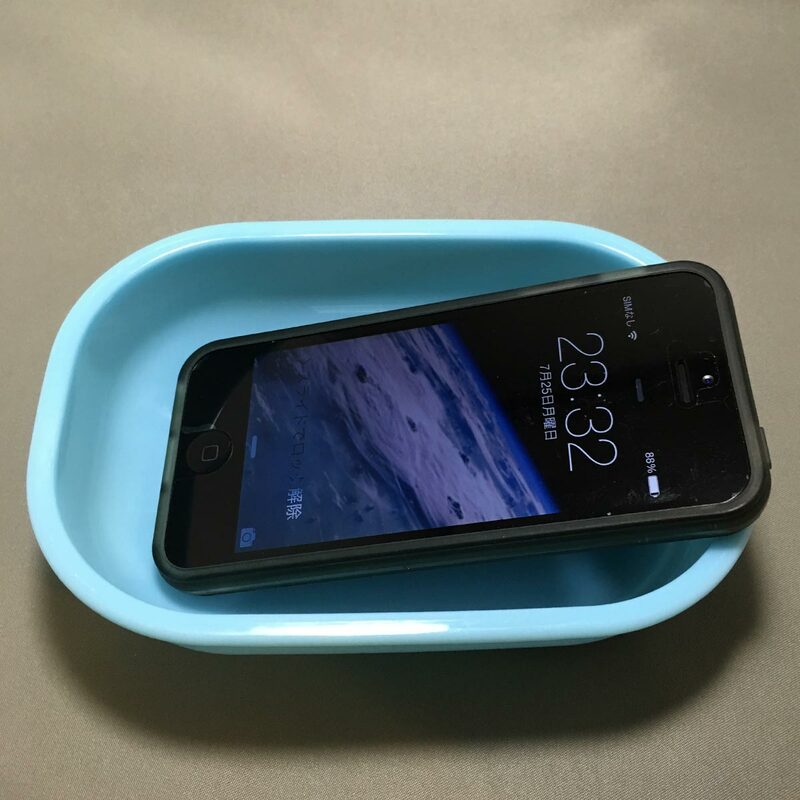 – The bento box is not air-tight. Keep the lid upward. 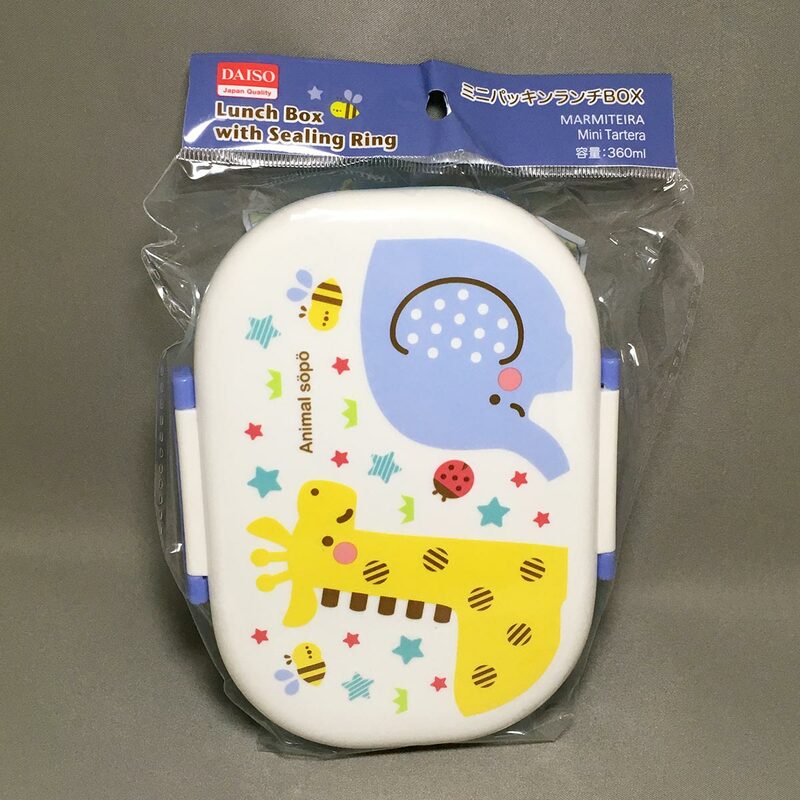 This kiddy bento box is very cute, and very small. 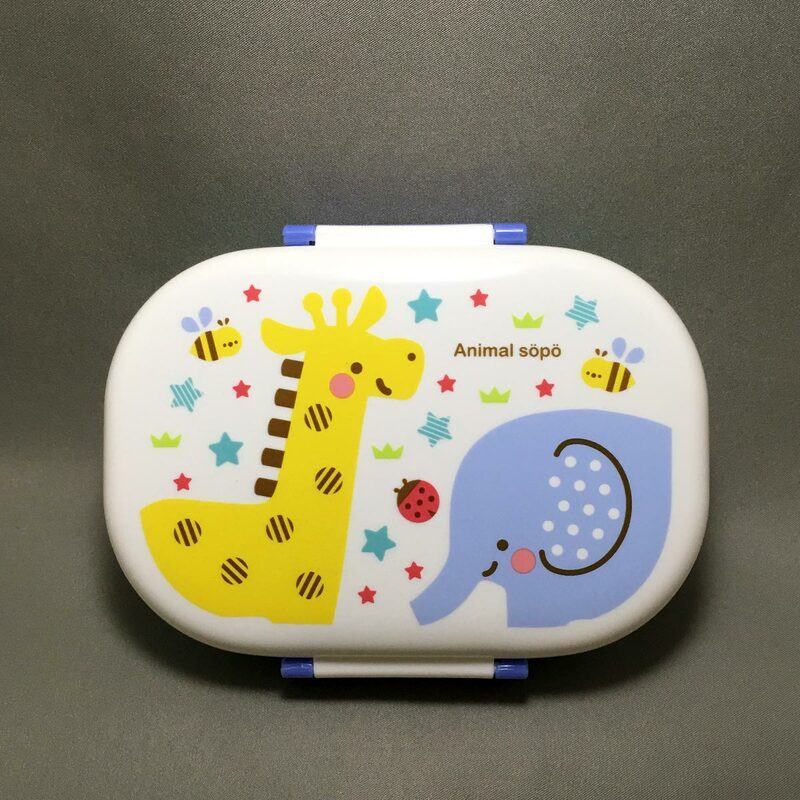 If your kid has a big appetite, this might not be enough. 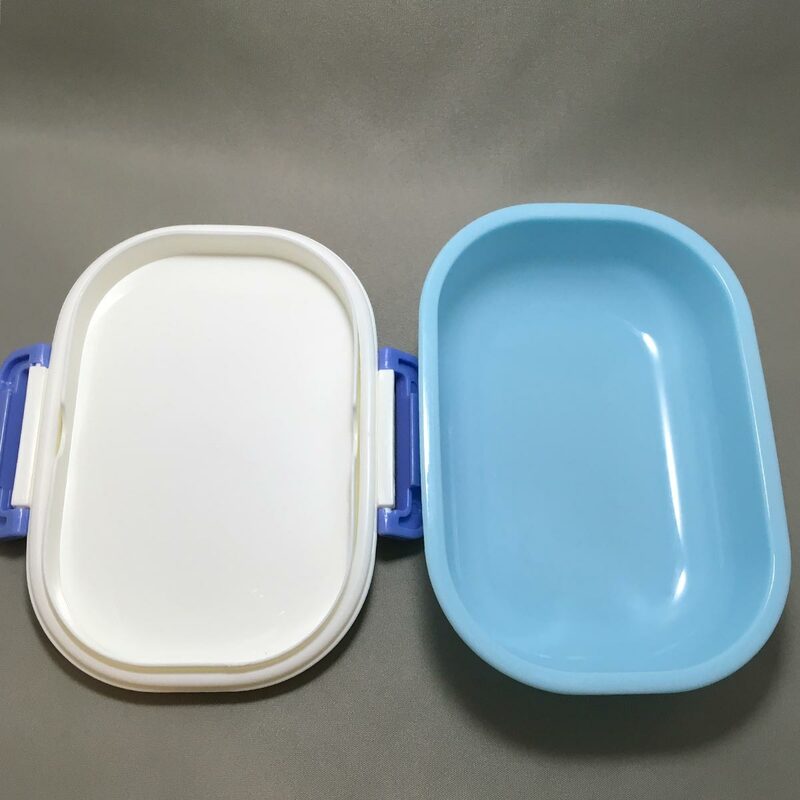 The snap on lid looks secure, and the silicone sealing ring appears to keep liquids in, but it doesn’t and almost leaks like a sieve, so don’t use the bento box for food that has a lot of liquid in it.